At E3 2016, the Indie Obscura crew had the pleasure of meeting up with Yulia Vakhrusheva, business development director over at tinyBuild Games. Yulia was bubbly and highly enthusiastic, inquiring if we had ever heard of the game Clustertruck before, one of the many indie games that tinyBuild is releasing this year. While we may not have had first-hand experience with the game, we were certainly familiar with its quirkiness thanks to various YouTube personalities posting an endless array of Let’s Play videos for the game. When offered the opportunity to try out Clustertruck, we jumped at the opportunity. Here’s a summary of all the features you can look forward to in Landfall Games’ upcoming indie platformer, Clustertruck! The word “truckformer,” perfectly describes what Clustertruck is. Essentially, Clustertruck is a platformer where you jump from truck to truck in order to reach the goal. Sounds simple enough, right? Well, there’s good reason behind the game’s hilarious play on words title. 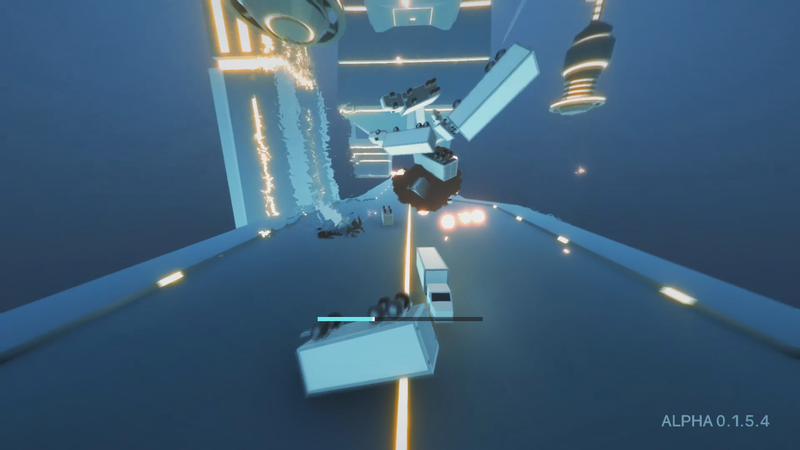 Reaching the goal in Clustertruck is not an easy endeavor thanks to the game’s exaggerated physics. 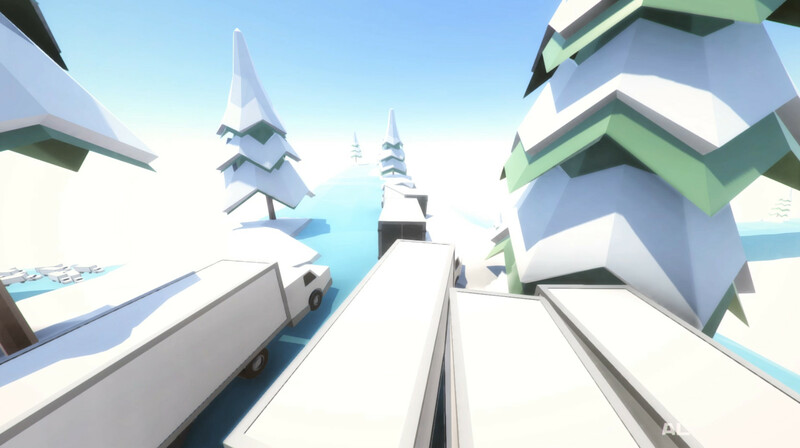 The smallest misstep can propel you over the side of the truck, forcing you to restart the level and try again. The difficulty continues to ramp up as the trucks are not content to drive towards the goal in a straight line. You will frequently see them drive straight into each other, bursting into flames, or falling off into an empty void taking you down with them to your immediate death. Once you’ve gained a handle on the game’s introductory mechanics, you’ll begin to venture into more challenging levels which feature the introduction of obstacles. Obstacles in Clustertruck include lasers, swinging hammers, flamethrowers, and gigantic boulders that crush everything in their path. You’ll go from scrambling across the tops of trucks, to doing some pretty intense parkour, as trucks somersault through the air in all directions. You will have to keep on your toes to avoid being taken out by rogue hurdles, while also maintaining your balance on the back of the truck you’re situated on. Clustertruck is a game that encourages players to get gutsy with their frolicking by awarding points for air time, flying truck jumps, and close calls. It’s safe to say that the game will keep you in a perpetual state of high tension, but in the best way possible. Additional features include unlockable abilities such as levitation, double jumping, and slo-mo which makes completing the game's trickier levels slightly more feasible. There’s also mention of a level creator/editor that will give other players the option to try out your maniacal Clustertruck creations and vice versa. 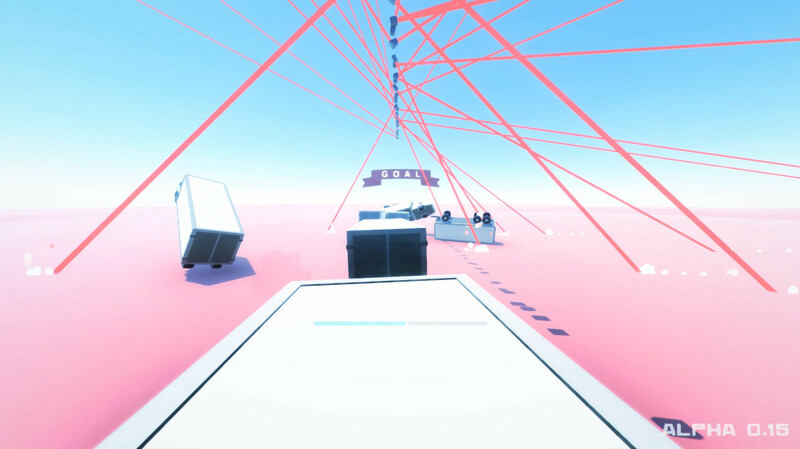 Clustertruck has even poked fun at indie game Superhot, with a mod that makes the game play in similar fashion to Superhot (trucks move only when you move). Upon completing this mod, it awards with a SUPER TRUCK sound clip. All in all, Clustertruck looks like it will boast hours of intense fun with an ever-changing slew of environments, impending dangers, and dynamic adrenaline pumping gameplay. Definitely a unique platformer to keep your eye on! Clustertruck will be coming to Steam in Fall of 2016. Be sure to check out our interview with tinyBuild's Yulia Vakhrusheva at E3 2016 below! For more indie game previews here at Indie Obscura, learn how one game features a unique engine that analyzes your choices in our Gyre: Maelstrom preview, and how you can explore underwater locations without ever surfacing for air in our ABZU preview. Looking for something to play right now but don't have the cash? Check out our picks for the top five free-to-play indie games on Steam!